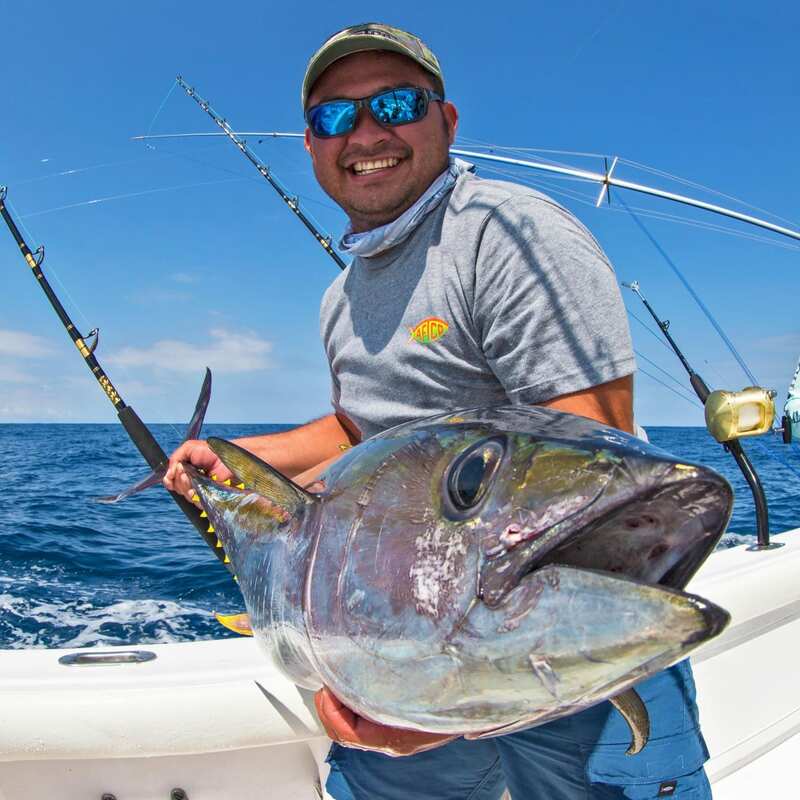 Guatemala’s Pacific West Coast is known as the #1 billfishing destination in the world! Double-digit sailfish raises have been recorded by our crews every month of the year, as well as marlin releases. Grand Slams are an everyday possibility from December thru March and again in the late May thru July. We see more schools of the Dolphin March thru August however a floating log or object usually tends to attract these species. Catch one of these and have the mate prepare a fresh sandwich on board! Year round, but double and triple hookups are common November thru April. 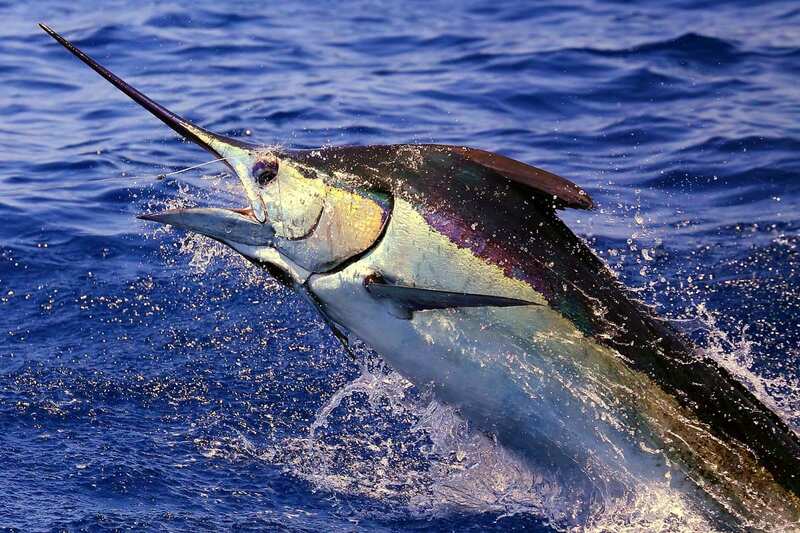 The average Pacific Sailfish released are in the 80-120lb range. 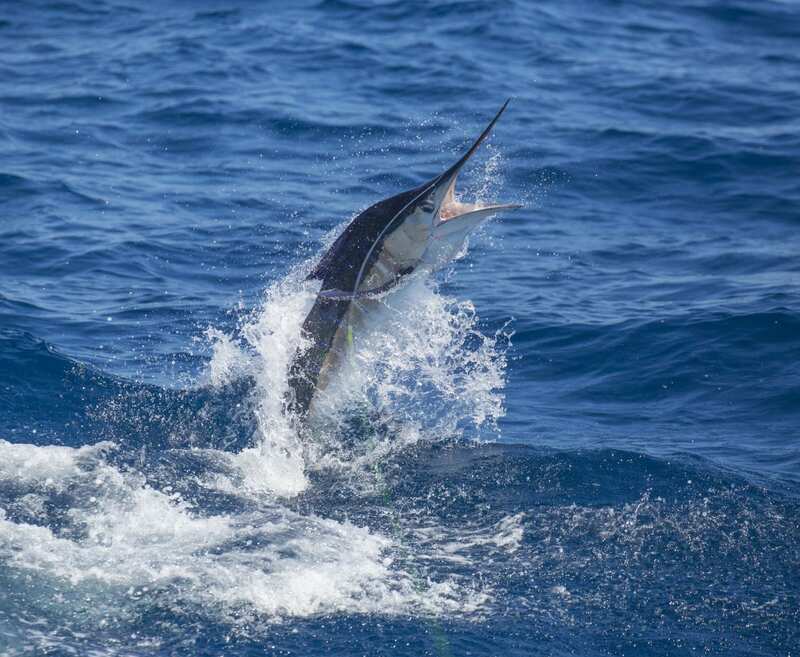 We see more Blue Marlin April thru July with average Blue Marlin in the 200-400lb range. 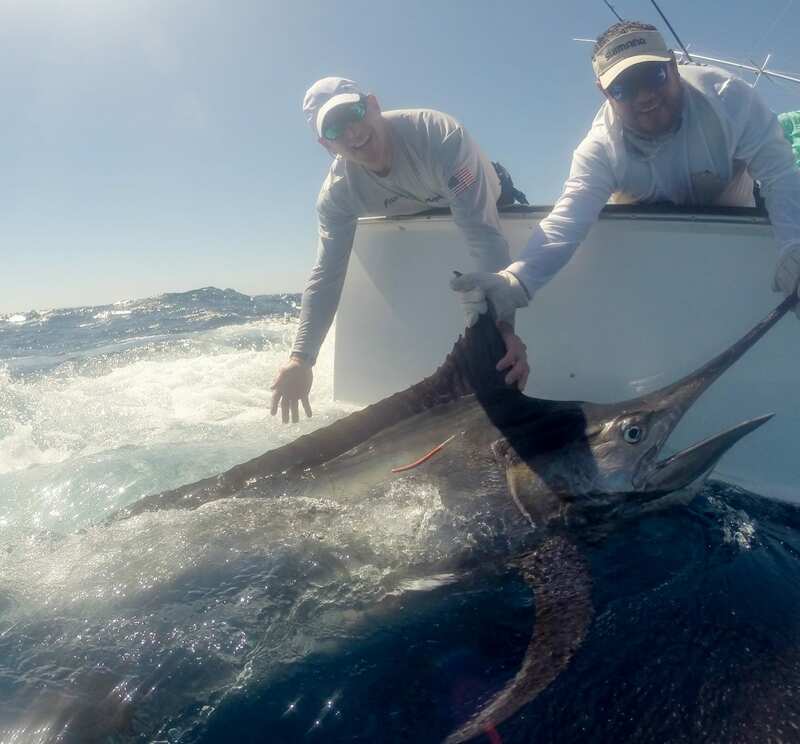 However, on average, while targeting sailfish every Casa Vieja boat will encounter a marlin every three days. 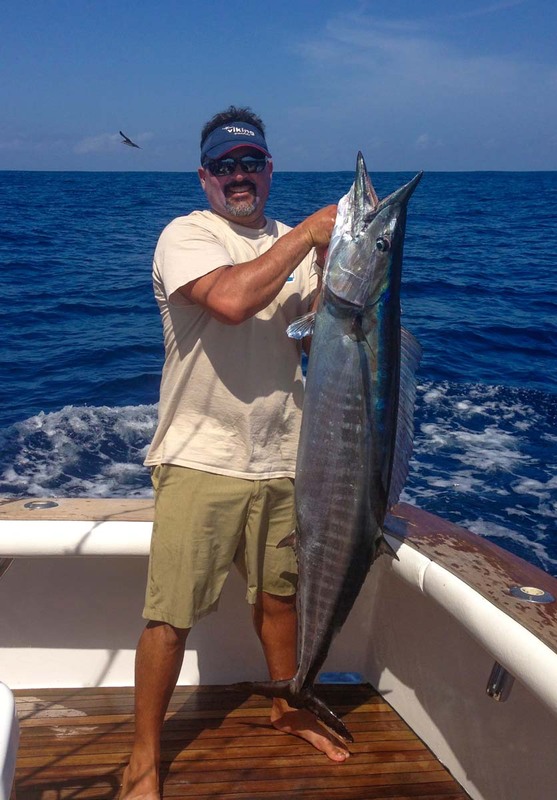 Seen more frequently November thru January the average striped marlin is in the 90-150lb range. Roosterfish & Cubera Snappers: Always a big favorite with our traveling anglers – peak season for these inshore species is from March thru July. Other inshore gamefish species include skipjack tunas, bonitos, sierra mackerel, red snapper, broom tail grouper, tripletail, rainbow runners, crevalle and horse-eye jacks. 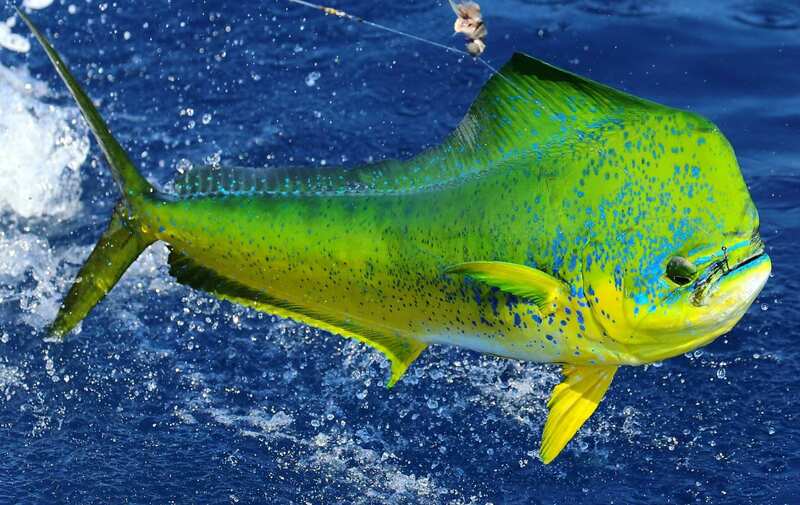 January through June lends to bigger schools of the Yellowfin Tuna and the average is about football sized of 25-45 lbs. Many times when a pod of spinner dolphins is in the area expect these tunas to be in the midst of the action. Catch one of these and have fresh sashimi aboard your boat! 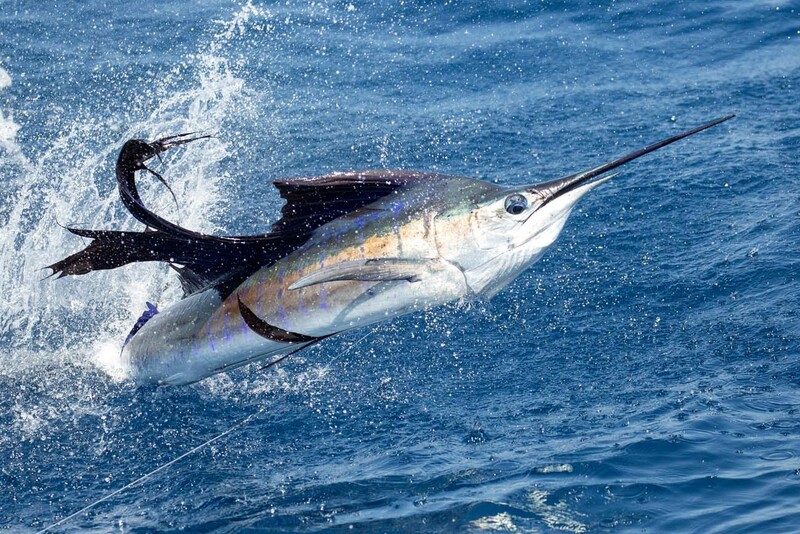 The peak season tends to be December thru March with the average Black Marlin in the 250-400lb range. Although not in abundance in these waters we see them October thru December.